Improve the horsepower and performance of your car with the DEI Exhaust Wrap in Black. 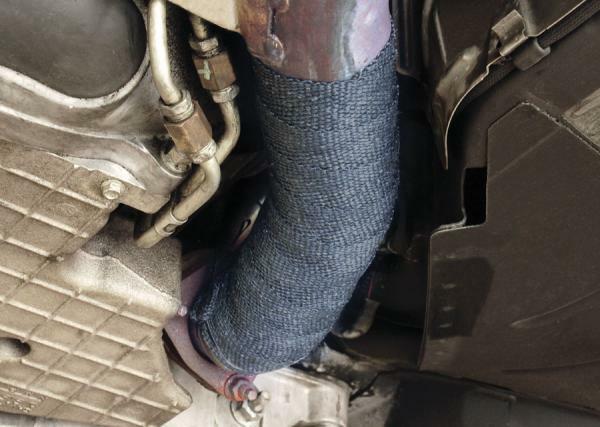 Wrapping headers and down pipes is an important first step in reducing unwanted and power-robbing under hood heat. Less under hood heat results in a cooler air charge for improved performance, and keeping exhaust gases hotter within the exhaust system helps in decreasing exhaust density & increases exhaust flow. All of this leads to increased performance for your vehicle. 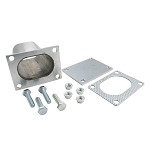 This kit includes one roll of 2” x 25’ exhaust wrap and four 8” stainless steel locking ties for securing wrap. This kit is available in black, tan, or titanium. 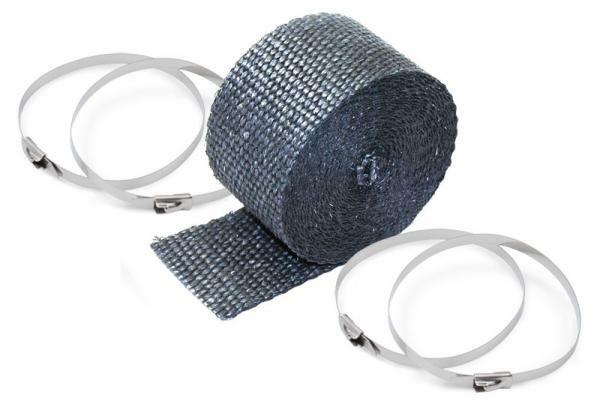 The titanium wrap withstands higher temperatures than traditional glass exhaust wraps for superior performance.